Large, healthy plants tolerate heat and resist downy mildew. 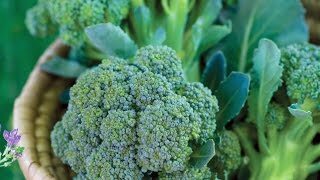 ‘Gypsy’ broccoli is a very adaptable variety with a strong root system for summer or autumn crops, with uniform, well-domed heads with a medium-small bead size and medium-sized stem. Large, healthy plants tolerate heat and have some resistance to downy mildew. 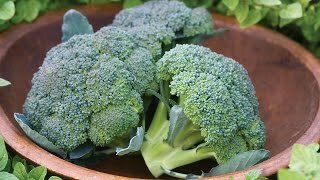 Harvest the plants when the broccoli buds of the head are firm and tight, cutting 5 to 10 inches down on the stalk. This will promote the growth of side shoots which will provide an abundance of smaller broccoli heads over a long period. We recommend ‘Gypsy’ for organic gardening. Broccoli, Gypsy Hybrid is rated 5.0 out of 5 by 1. Rated 5 out of 5 by brittgreenthumb from Impressive Heads! I ordered seeds and sowed them indoors in January and transplanted mid-February in raised beds in heavy clay soil amended with compost, peat, and organic fertilizer (broccoli likes firm soil). I was impressed at how well this variety handled temperature swings in my area (nighttime lows in the mid 20s and daytime highs in the upper 70s). I harvested full sized heads in late April through early May (see pictures below). They have a really good flavor to them. Even my mom mentioned how well they tasted compared to the grocery store broccoli. I highly recommend this variety, especially for southern climates.